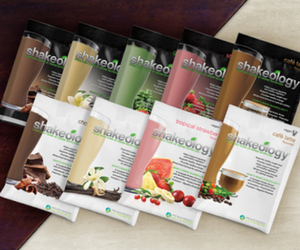 Shakeology Convenience Pack now available. 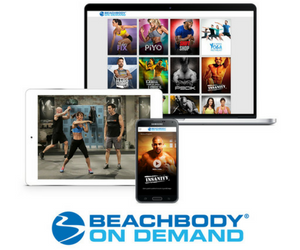 You can easily take Shakeology® on the go. Or to work. Or on vacation. Now Shakeology is as easy as shake ‘n take. Order the Shakeology Convenience Pack and get 24 single-serve packets you can take anywhere. Work. The gym. Or your car. Just add water to a packet and mix it in your FREE Shakeology Shaker Cup for an instant meal. Or choose the 30-day supply in a bag to keep in your kitchen. This daily nutritional shake helps your body gently eliminate toxins more efficiently while allowing for better absorption of the essential nutrients you need. A proprietary blend of digestive enzymes and prebiotics helps your body progressively eliminate the toxins that build up over time from eating today’s highly processed foods. At the same time, whole-food ingredients deliver the essential amino acids, vitamins, and minerals your body needs to curb cravings, allowing it to shed stored fat while the more than 20 different antioxidants and phytonutrients help reduce free radical damage that can lead to heart disease, heart attacks, high blood pressure, and stroke. We’re convinced you’ll start to see and feel the benefits of Shakeology within the first month of using it, but if you’re not 100% satisfied for any reason, just return it within 30 days for a FULL refund of the purchase price, less s&h—guaranteed. That’s our promise to you.